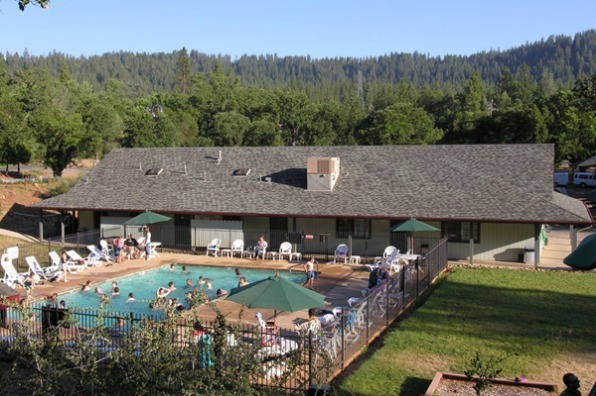 Located just a 22 mile scenic drive to Yosemite’s Western Gate, our Resort is a wonderful day trip base for adventures in the Gold Country area. Our many on-site activities such as Bocce Ball and Volleyball courts, Children’s playground, seasonal pool, fitness trail and petting farm make this your destination for family vacations. 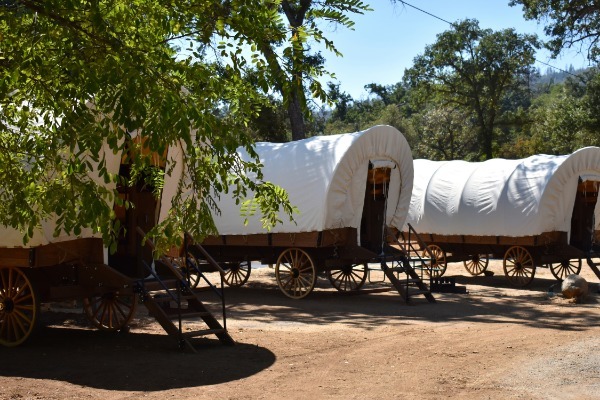 You will enjoy the Pioneer spirit of camping in our Conestoga Wagons that sleep up to 6. 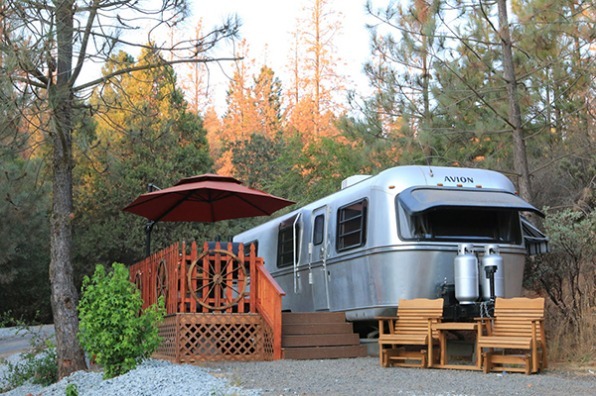 Or be nostalgic in a renovated Airstream, Avion or new Retro Trailers. You have your choice of many cabin configurations that sleep up to 8 people, with decks or porches. 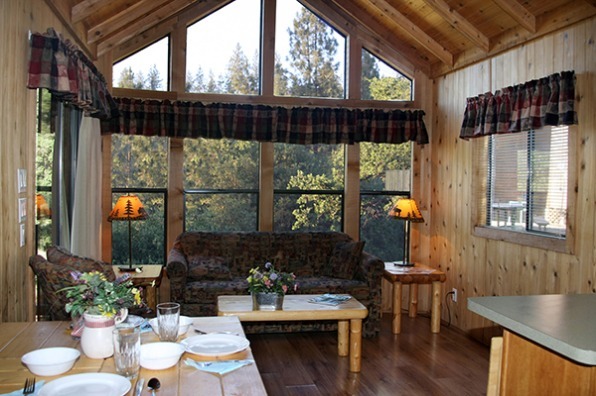 Some cabins have full kitchens and all have a microwave and mini-refrig. A fun way to combine the comfort of a cabin with the ambiance of camping! Sleep up to 5 and include a countertop refrigerator, microwave, coffee pot. Convenient to the Shower/Bathrooms. You can Pull thru with your “big rig” or back in to one of our many RV sites, some with full hook-ups. Each tent site has a picnic table and barbecue. Your day starts off easy with a grab and go breakfast or relax by the pool later in the day with a sandwich or snack. The Deli is open during the spring and summer for your dining convenience. Save up to 30% with a 2 night voucher GOOD FOR ONE YEAR. Some black out days apply*. A visit to the Yosemite area is great every time of the year. Click this link, but hurry, Limited Availability and Time to purchase vouchers. www.yosemitepinesrv.com/vouchers.